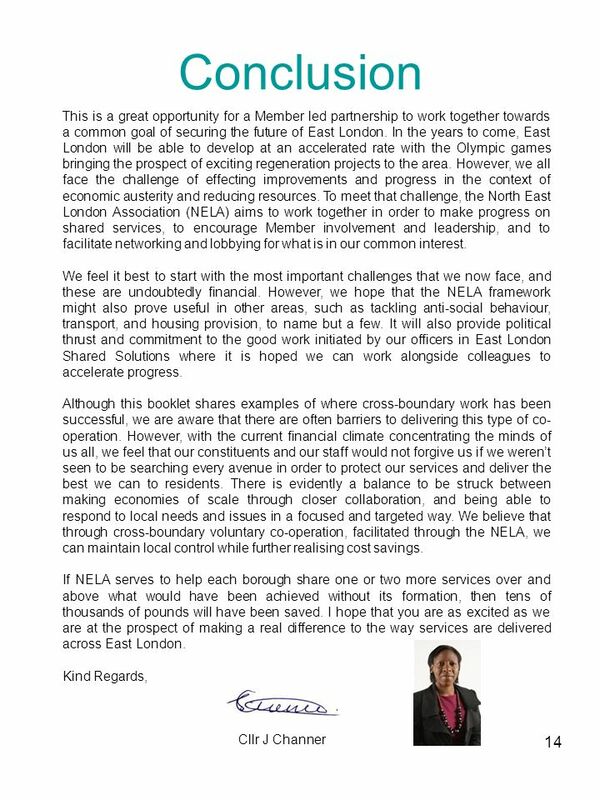 North East London Association Working in Partnership. 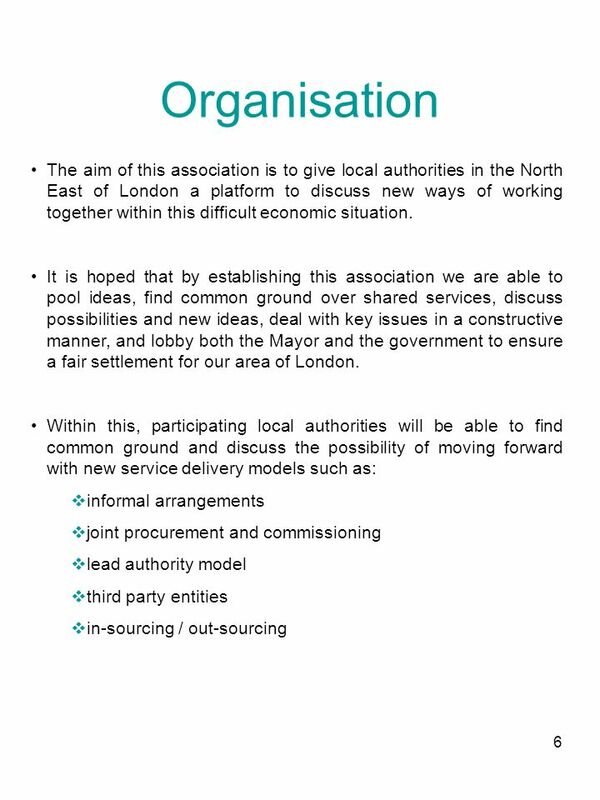 7 7 Organisation outline: Bi-monthly meetings with the host borough alternating between participating authorities. 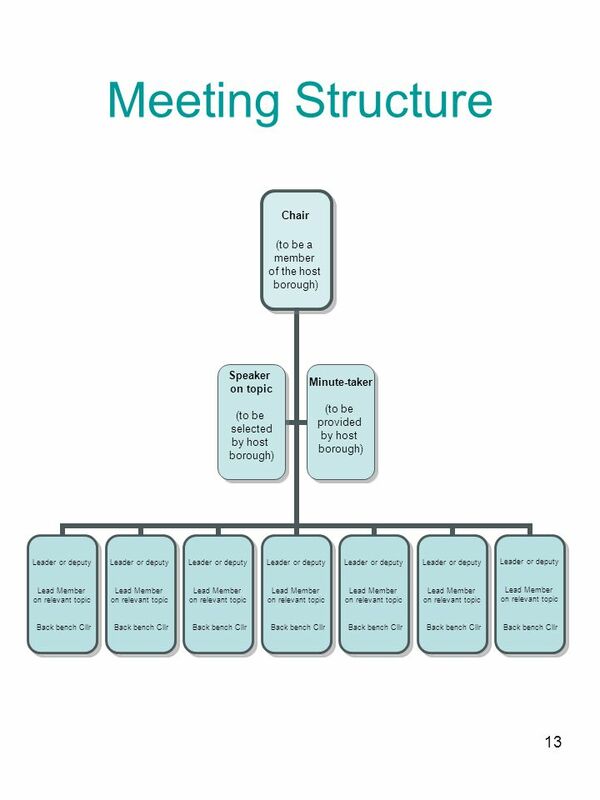 The host borough will provide the chair, guest speaker and also the administration for the meeting (minute taker). 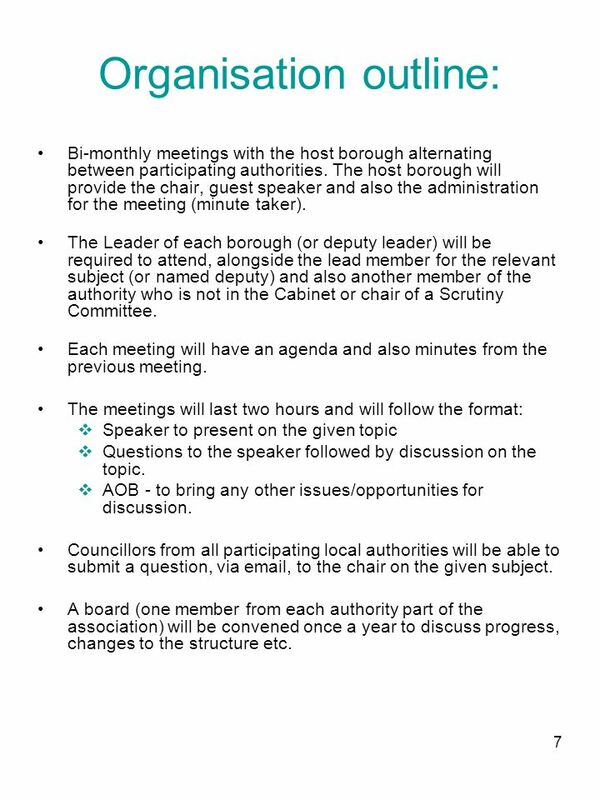 The Leader of each borough (or deputy leader) will be required to attend, alongside the lead member for the relevant subject (or named deputy) and also another member of the authority who is not in the Cabinet or chair of a Scrutiny Committee. Each meeting will have an agenda and also minutes from the previous meeting. The meetings will last two hours and will follow the format: Speaker to present on the given topic Questions to the speaker followed by discussion on the topic. AOB - to bring any other issues/opportunities for discussion. Councillors from all participating local authorities will be able to submit a question, via email, to the chair on the given subject. A board (one member from each authority part of the association) will be convened once a year to discuss progress, changes to the structure etc. 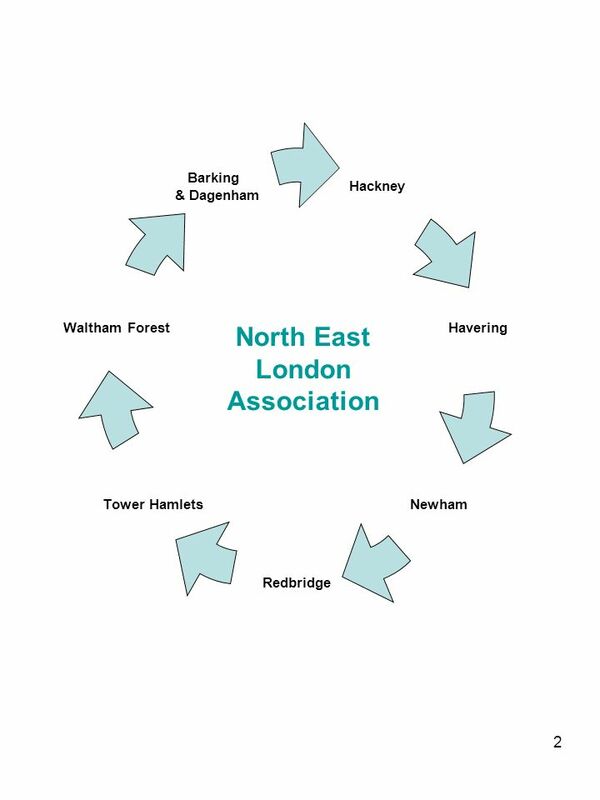 8 8 At the first meeting a work plan will be established, as well as meeting dates, terms of reference and host borough membership of the association. 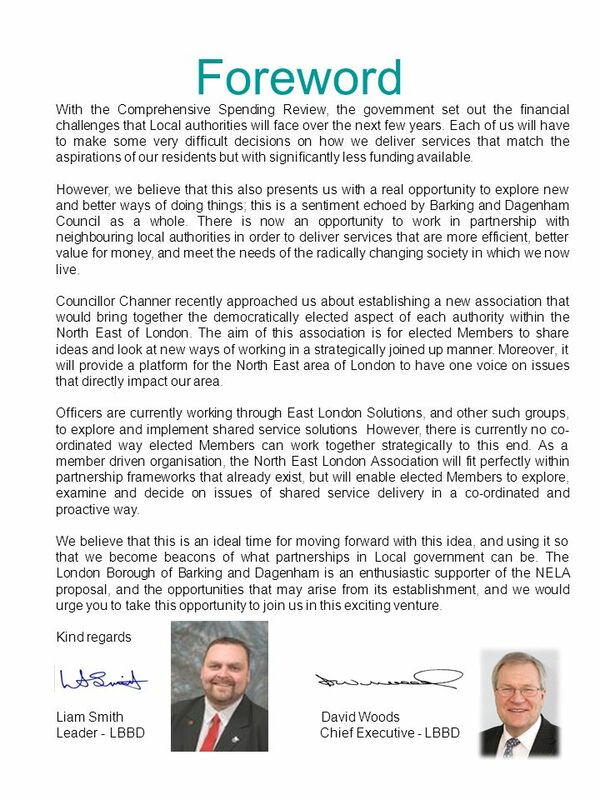 The preferred format for taking forward shared service proposals will be: each member borough will report back to their Cabinet (or equivalent) with the general discussion points of each meeting where there is agreement between boroughs to further explore a shared service option, these boroughs will seek to instruct their officers to work together to draw up feasibility reports these feasibility reports will then be reported back to the appropriate functions of the individual councils any outcomes will then be reported back at the next NELA meeting and will be overviewed at the annual board meeting when detailing the progress of the Association. 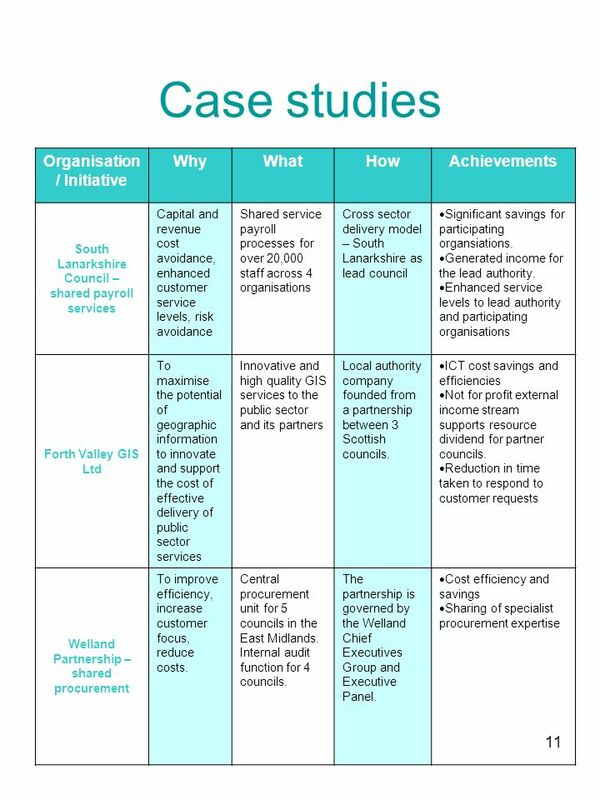 12 12 Organisation / Initiative WhyWhatHowAchievements East Midlands Lawshare To deliver lower legal costs as well as provide advice to member authorities throughout the East Midlands. E M LawShare is a consortium of 26 local authorities who have joined together to procure external legal services Through a partnership arrangement, EM LawShare enables partner authorities to access external legal advice at reduced hourly rates. Possible efficiency savings to be made in the region of £2.5million in cashable benefits and £3 million in non-cashable benefits. Increased productivity through reduced duplication London eAdmissions To provide a unified approach to secondary school admissions across London A single portal- based eAdmissions service for secondary school places across the capital, led by Wandsworth Borough Council 33 London boroughs working together to provide an electronic school admissions system via a single portal. 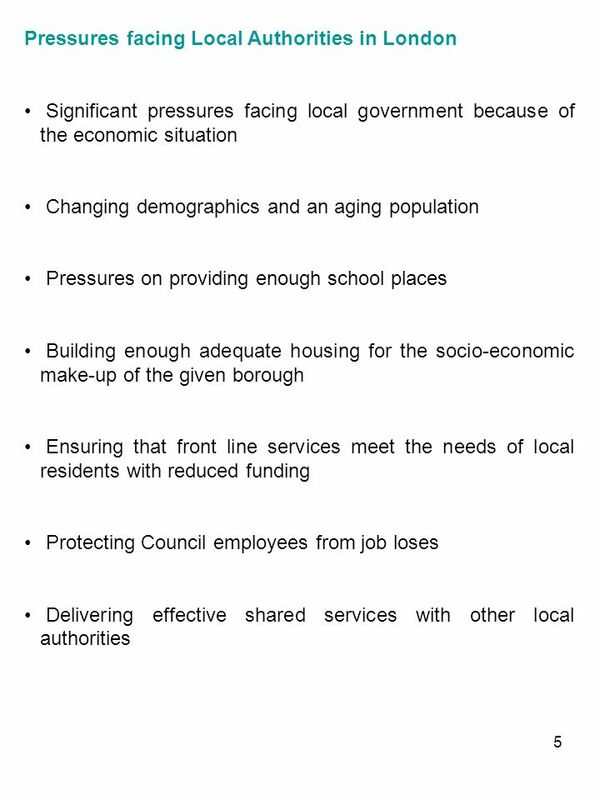 Admissions system across London is now simpler, fairer and has resulted in greater customer satisfaction It was estimated that costs could be reduced by more than 50%, when compared to each borough procuring and implementing their own local system. 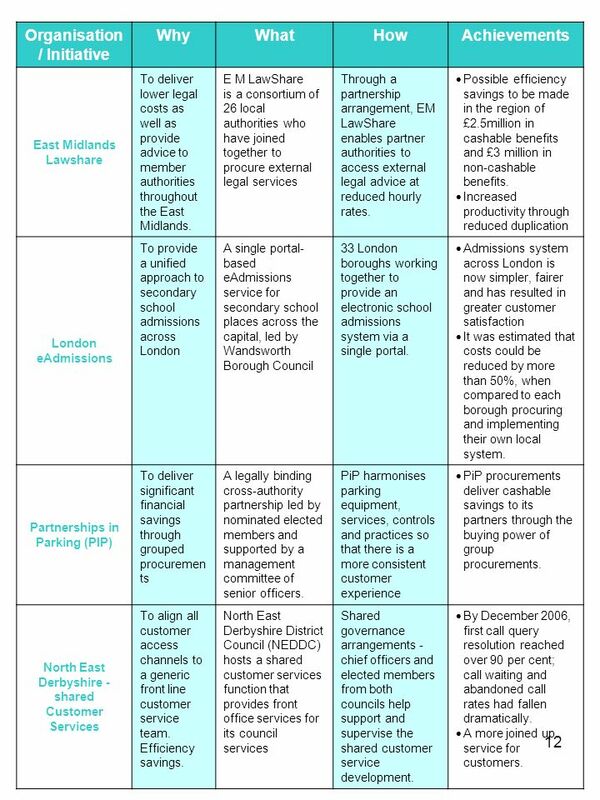 Partnerships in Parking (PIP) To deliver significant financial savings through grouped procuremen ts A legally binding cross-authority partnership led by nominated elected members and supported by a management committee of senior officers. PiP harmonises parking equipment, services, controls and practices so that there is a more consistent customer experience PiP procurements deliver cashable savings to its partners through the buying power of group procurements. North East Derbyshire - shared Customer Services To align all customer access channels to a generic front line customer service team. Efficiency savings. 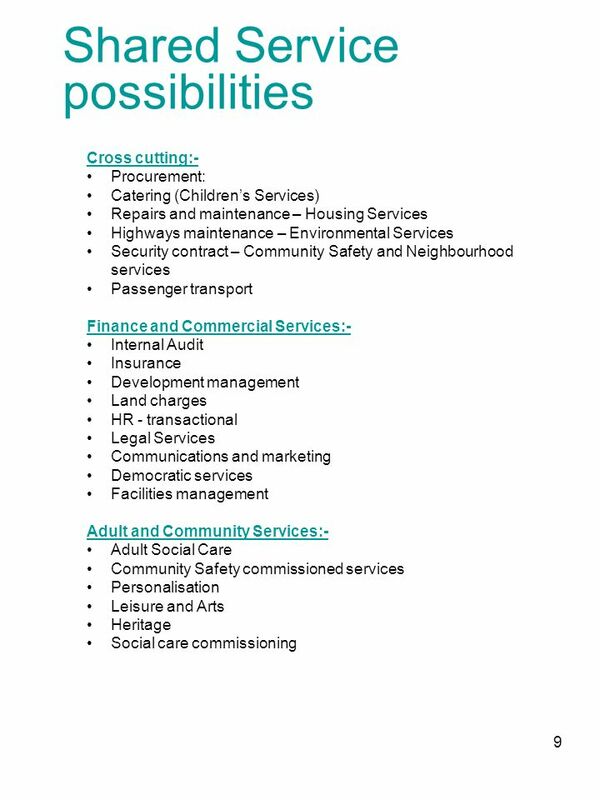 North East Derbyshire District Council (NEDDC) hosts a shared customer services function that provides front office services for its council services Shared governance arrangements - chief officers and elected members from both councils help support and supervise the shared customer service development. By December 2006, first call query resolution reached over 90 per cent; call waiting and abandoned call rates had fallen dramatically. A more joined up service for customers. 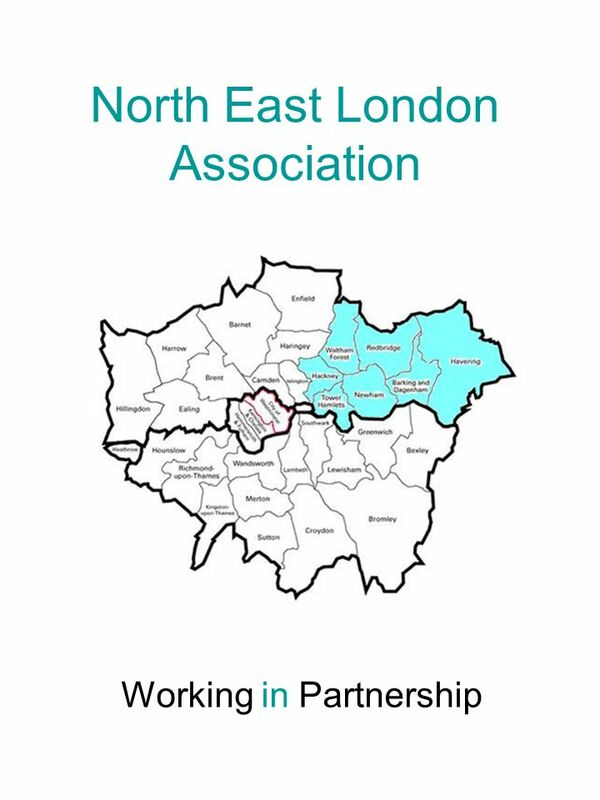 Download ppt "North East London Association Working in Partnership." Sustainable investments in municipalities and regions: How best to fulfil citizens needs Councillor Ian Fleetwood Lincolnshire County Council, UK Improvement. 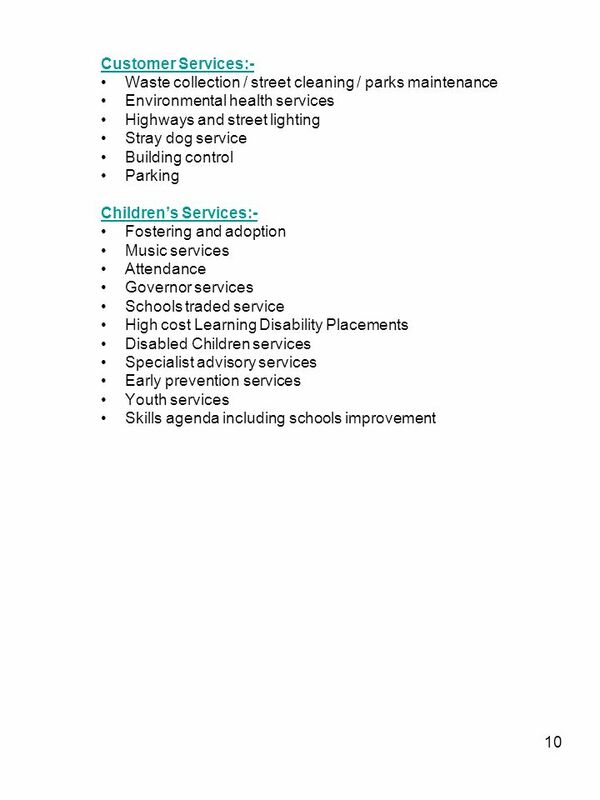 Roles and responsibilities of elected members and senior officers in local safeguarding services Cllr Shireen Ritchie Cabinet Member for Family and Childrens. London Scrutiny Officers Network Meeting. 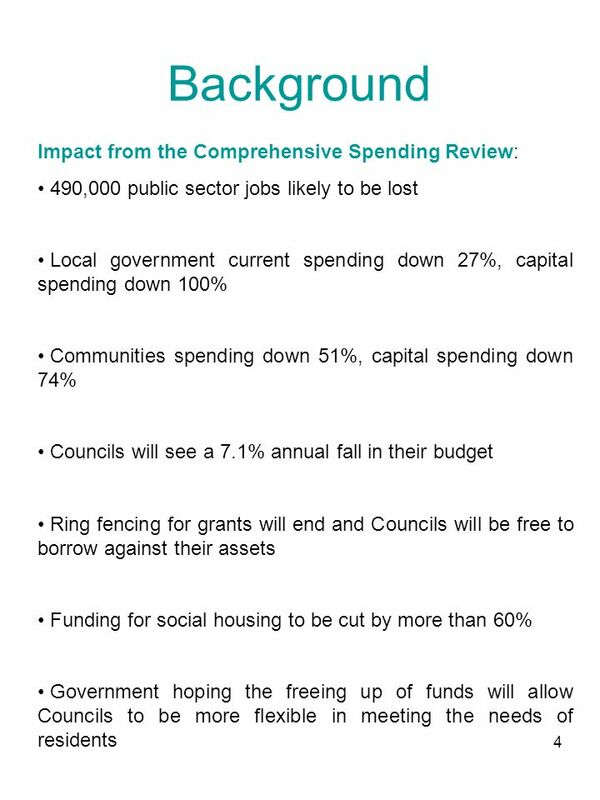 Scrutiny Proposals in the Strengthening Local Democracy Consultation Helen Moores 16/09/2009. East London Solutions. Our purpose Re-shape services to customer needs Deliver greater efficiencies Better use of capacity and skills Improve capability. Overview and scrutiny at the London Borough Merton Daniel Moore, Scrutiny Officer London Borough Merton. Why and how we became a mutual Graham Barnes MyCSP Ltd.
Waveney District Council Councillor C Law Deputy Leader & Portfolio Holder for Customer Access. Public Administration Reform in Ireland Presentation to HRWG / IPSG EUPAN meeting 4 th April, 2013 David Feeney, Reform and Delivery Office Department. Transforming health and social care in East Sussex East Sussex Better Together. Service design and innovation John Beckerleg Director of Supporting Services Chief Fire Officers Association 27 June 2014. 5 March  Scottish Government Free school meals P1-P3 pupils  Refuse state of the market survey 2013  APSE Response to the proposals. DERBYSHIRE COUNTY COUNCIL RISK MANAGEMENT AWARENESS TOOLKIT FOR ELECTED MEMBERS Martin Brassington and Tom Smith 2006. Auditing for achievement Does Partnering Work ? Partnerships.